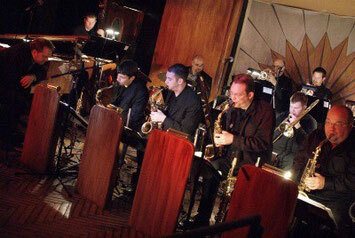 Scott Gwinnell Jazz Orchestra - Website of wscottjazz! 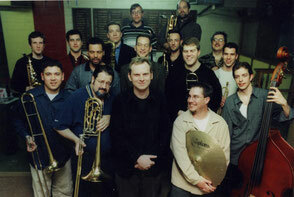 The Scott Gwinnell Jazz Orchestra, started in April 1999, was initially started as a rehearsal band for Gwinnell to hear his compositions and arrangements played. With encouragement from friend/musicians and an offer of a weekly gig at the Music Menu Cafe in Detroit's Greektown, Gwinnell and fellow musicians made a committment to present high quality big band jazz music. Even though Gwinnell's music was the centerpiece of the then called, Music Menu Jazz Orchestra, charts by other local musicians and other contemporary charts by Thad Jones, Bob Brookmeyer, and Charles Mingus. 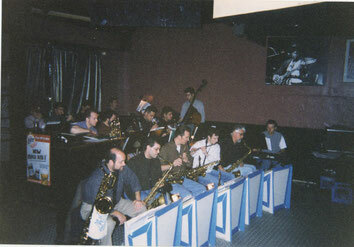 Packed tightly onto the stage, the band would last for a year and a half at The Music Menu playing Tuesday nights. 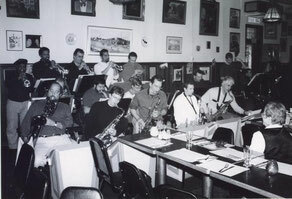 After the Menu, the band officially changed its name to the Scott Gwinnell Jazz Orchestra and birefly moved to The Berkely Front bar in Berkely, Michigan. The group would soon begin its first serious tenure at the Cadieux Cafe on the east side of Detroit. At the Cadieux Cafe, the band really grew into its own. 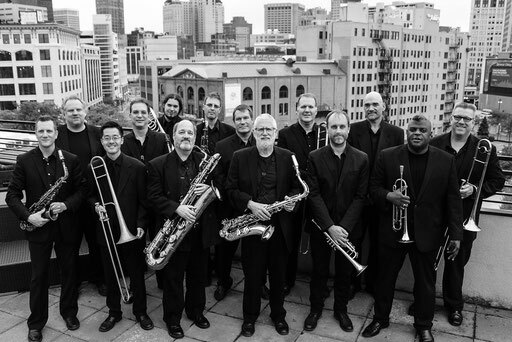 It was the first time the band caught press attention, crowds came out, and gigs were routinely accented with the playing of Detroit trumpet legend, Marcus Belgrave, who eventually joined the SGJO for their first record in 2002, Basement Vibes. During this time the band also began to branch out. Gigs in Grosse Pointe with late tenor player Donald Walden, feature performance in Toronto at the International Association of Jazz Educators with sax virtuoso, Dave Liebman, and WDET radio dates highlight this period. Musicians of note involved with the first and second gigs of the Scott Gwinnell Jazz Orchestra, are: John Wojciechowski, Mark Berger, Matt Martinez, John Robertson, Jackson Drobko, Dave Rajewski, Jimmy Smith, Mark Byerly, John Barron, Luke Sayers, and Bill Higgins. After a brief hiatus for Scott to go to school for his Master's degree, the band began its exciting Wednesday gigs at the then, new club, Cliff Bells. With the addition of some more skilled players, the SGJO reached a higher artistic plateau. 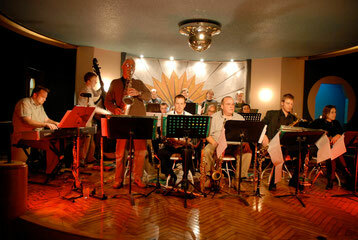 Working together every week, the band gelled and impressed new audiences of jazz fans, musicians, and critics. One of the first accomplishments for the "Cliff Bells" SGJO was to release a CD. 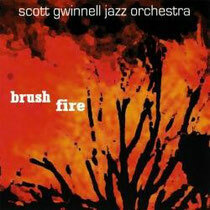 Brush Fire (2010 WSG Music) was released to high acclaim, winning two Detroit Music Awards for best modern jazz group and best jazz album. Performances with Aria Hendricks, Dominic Faranacci, gigs at the Detroit Jazz Festival and other festivals gave the SGJO more notoriety. 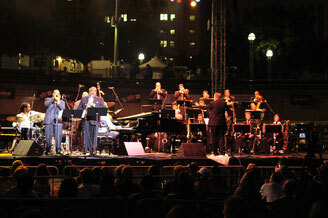 In 2009, the SGJO was chosen to be part of a big project proposed by the Detroit Jazz Festival. 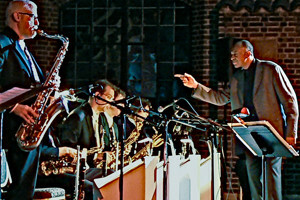 The artist-in-residence, bassist/composer John Clayton, was commissioned to write a suite based on Detroit jazz legends. The SGJO would play a series of summer concerts, with the finale being a performance, closing that year's festival. The suite paired the Clayton Brothers with the SGJO in a 55 minute concerto grosso. All of the musicians performed greatly, receiving a 5 minute standing ovation. SGJO and Clayton Bros. at Det. Jazz Fest. Some of the frequent musicians involved with the Cliff Bells SGJO group are: Keith Kaminski, James Hughes, Steve Wood, Carl Cafagna, and Mark Berger on sax. Dave Jensen, Terry Kimura, Tony Buccilli, and Stefan Stolarchuk on trombone. Trumpets are Bob Jensen, Paul Finkbeiner, John Douglas, and Justin Walter. Jordan Schug plays bass and Scott Kretzer plays drums. 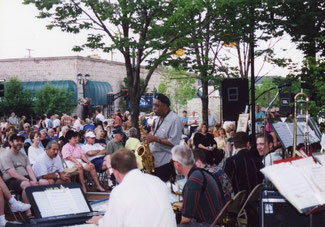 The SGJO still plays routinely at Cliff Bells as well as various venues in SE Michigan. The most recent project has been a recording of the music of Mulgrew Miller. Arranged by myself, it puts a new spin on some of Mulgrew's well and lesser known works as well as my original music. The record will be released in 2017.